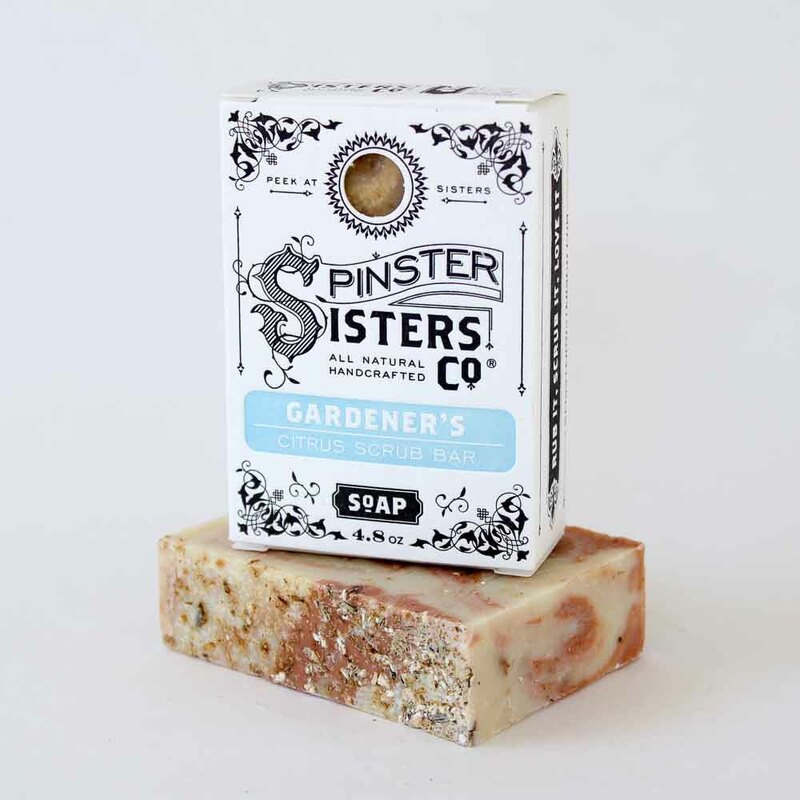 Gardener's Citrus Scrub Bar Bath Soap | Soap | Spinster Sisters Co.
Gardener's Citrus Bath Scrub is made with Moroccan Red Clay which which reduces oil while gently exfoliating skin. 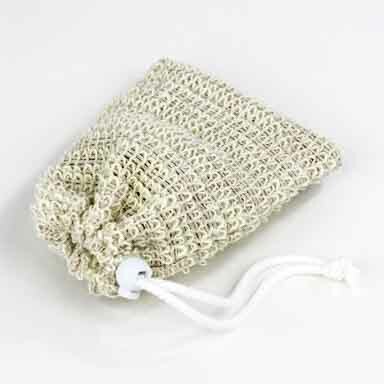 Our signature Bath Soap is what made us who we are. It is made using responsibly harvested oil palm oil, known for its powerful cleanising properties, fair-trade shea butter, which is highly moisturizing and keeps skin youthful and smooth, and six other fine plant-based oils. 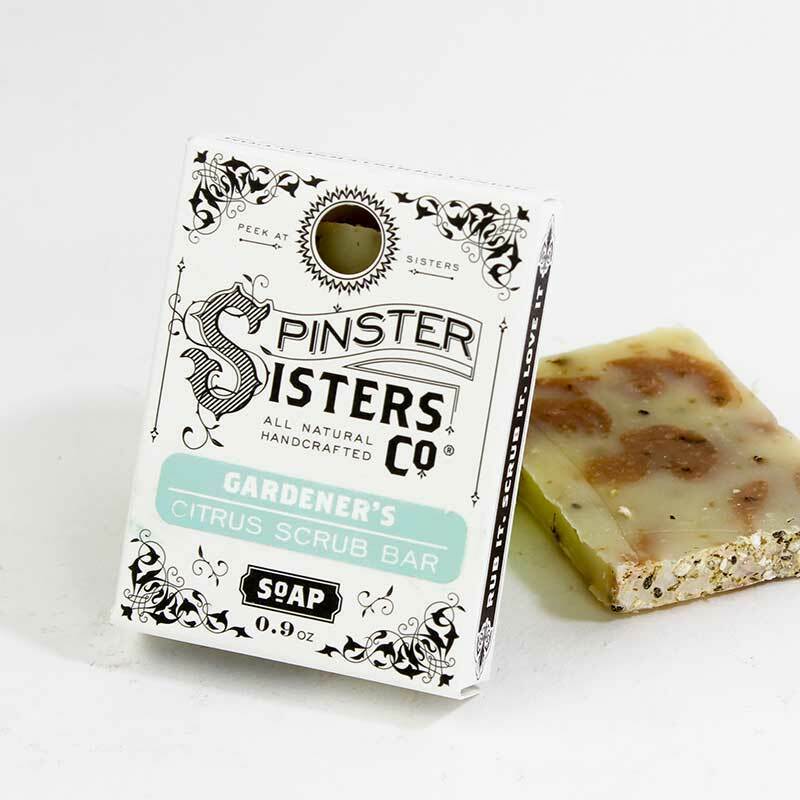 Our Gardener's Citrus Scrub Bar features a scent blend of grapefruit, eucalyptus, lemon, lime, and orange essential oils. Its scrubbing power is provided by exfoliating chia seeds, hemp seeds, Moroccan red clay, lavender blossoms, and colloidal oatmeal. Our Bath Soap is produced at our wind-powered Microsoapery in Golden, Colorado using the cold process soap method. 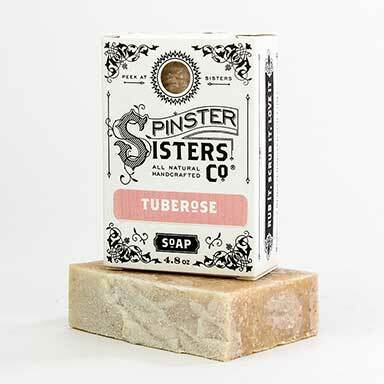 The luxurious ingredients we use provide this soap a rich lather and the fine oils are gloriously moisturizing for your skin. 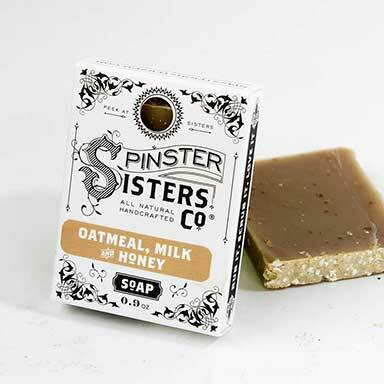 The soap itself is biodegradable, vegan, and long-lasting. Olea Europaea (Olive) Fruit Oil, Cocos Nucifera (Coconut) Oil, Sustainable Elaeis Guineensis (Palm) Oil, Ricinus Communis (Castor) Seed Oil, Fair-trade Butyrospermum Parkii (Shea Butter) Fruit, Argania Spinosa (Argan) Nut Oil, Prunus Armeniaca (Apricot) Kernel Oil, Theobroma Cacao (Cocoa) Seed Butter, Red Kaolinite (Moroccan Red Clay), Cannabis Sativa (Hemp) Seed, Colloidal Oatmeal, Lavandula Angustifolia (Lavender) Flower, Salvia Hispanica (Chia) Seed, Citrus Medica Limonum (Lemon) Peel Oil, Citrus Aurantium Dulcis (Orange) Peel Oil, Citrus Grandis (Grapefruit) Peel Oil, Eucalyptus Globulus Leaf Oil, and Citrus Aurantifolia (Lime) Oil.